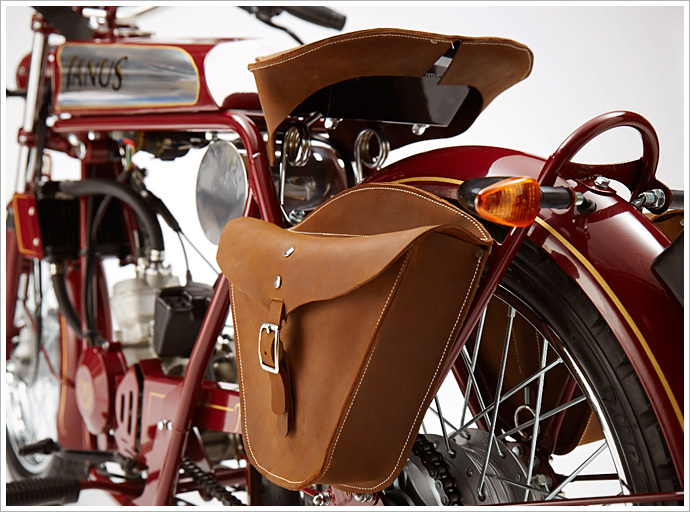 Janus employs five craftsmen to bend, form, and weld its frames and tanks and contracts other local businesses for leather goods, fenders, cutting, machining, engraving, chroming, and painting. The company is owned by Devin Biek and Richard Worsham, who lead product design, development, quality assurance, testing, and final fit and finish. 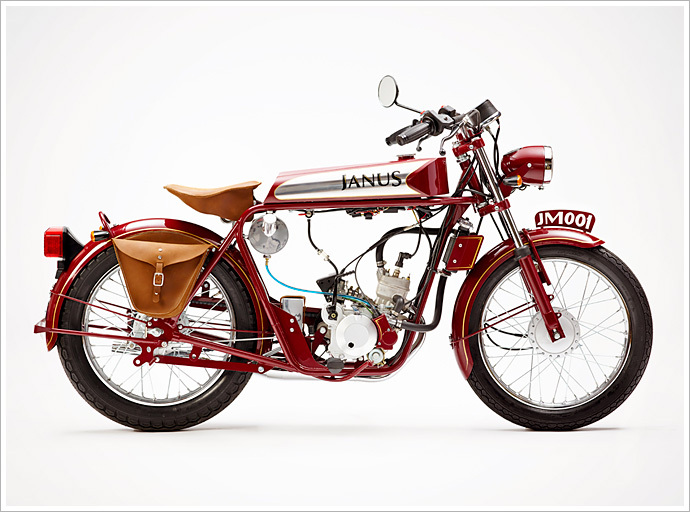 And thanks to America’s inbuilt love of the automobile, Janus Motorcycles is also a federally licensed vehicle maker, with each bike being supplied with a VIN number, title and road-worth certification. 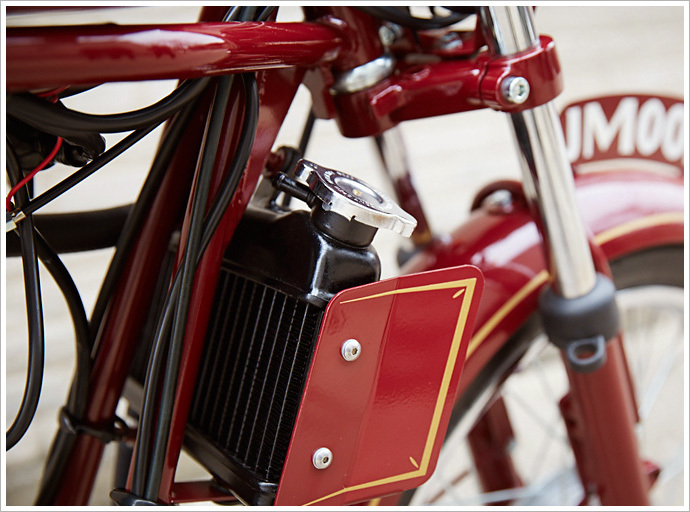 The Halcyon 50 Deluxe is their top-of-the-line model, sporting all the extra special bits including leather saddlebags and seat, polished aluminum tanks, hydraulic forks, and beautiful hand pin-striping. 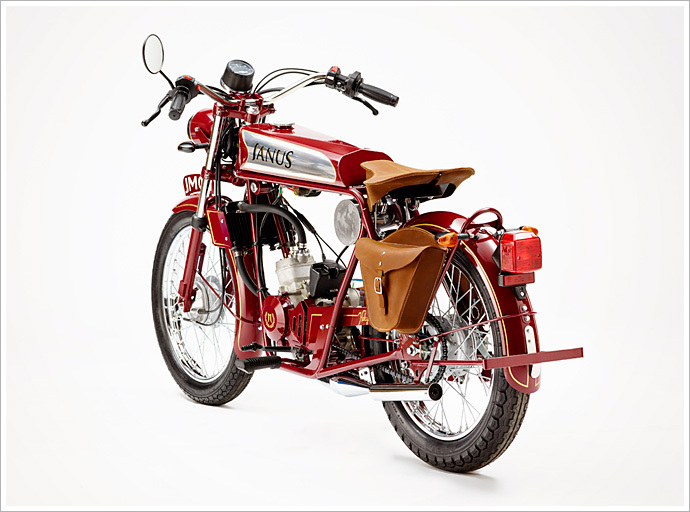 Delivery takes few months after you stump up the deposit, and they are more than happy to let you go hard on the custom colours and indeed any other options that might take you fancy. Gloves to match you seat and bags, anyone? 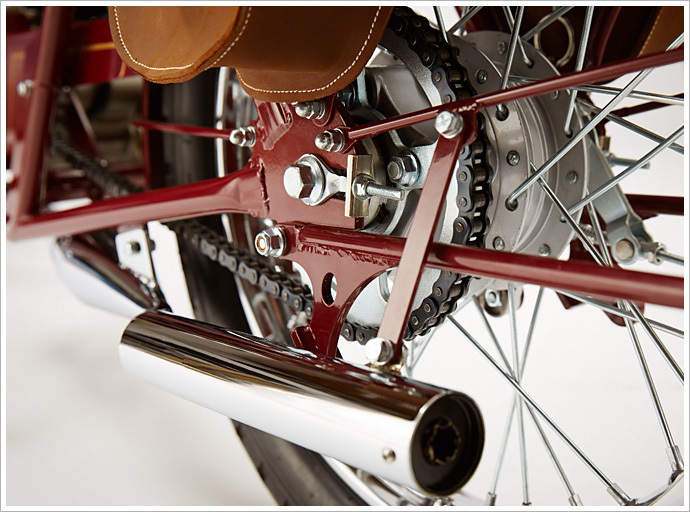 The bikes are built on a rigid tubular steel cradle frame with each featherbed frame bent and TIG welded by hand, as are the aluminum fuel and oil tanks, battery box, seat, saddlebags and battery cover. To avoid clouds of blue smoke, oil leaks, and breakdowns the engines are decidedly not accurate recreations of old two-strokers. 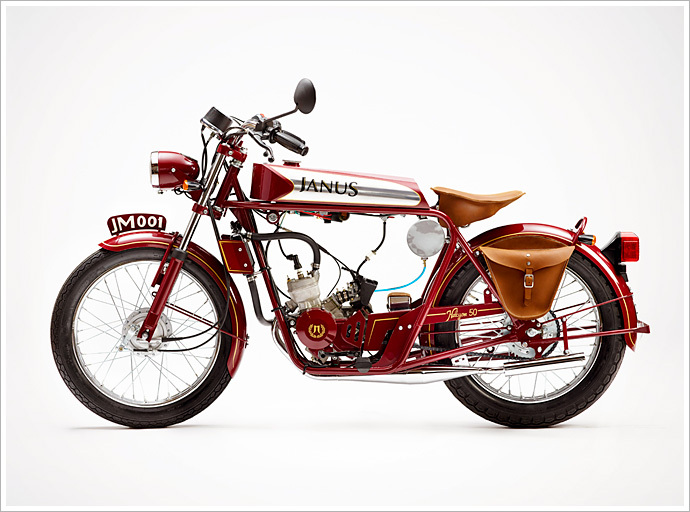 Instead Janus sources a 10hp Euro model based on the Derbi Senda with water cooling, a 6-speed box, and case-induction. Continuing the modern theme, the bike uses hydraulic EBR forks up front for decent ride and a professionally tuned expansion chamber exhaust to make sure you get the most out of your oily petroleum. Get a little wristy with the throttle and the bike will see you all the way to 55mph, or 90km/h in fancy newspeak measurements. 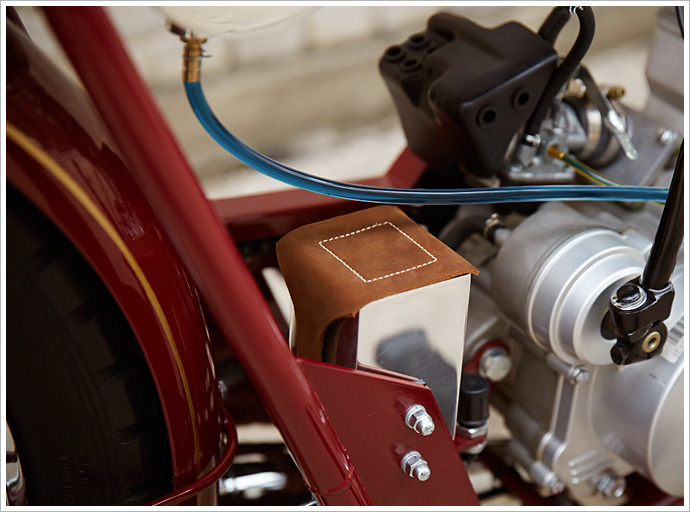 If you are as taken with the whole bike and concept as we are, you’ll no doubt be wanting to get you deposit to them as fast as your little legs can carry you. And if you’re thinking what we’re thinking, why not see if they could deliver one with a set of clip-ons. Can you imagine? We’re drooling on our boots just thinking about it.